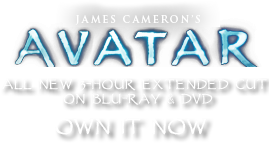 Cynaroidia discolor | Pandorapedia: The Official Guide to Pandora | Own AVATAR on Blu-ray & DVD Now! Similar to the thistle bud and lionberry, the hermit bud grows a cluster of many flowers (inflorescence), similar to the sunflower family on Earth. Samples of the hermit bud were taken to Earth with the thistle bud and lionberry to determine their genetic origin and possible source of introduction. This plant has evolved a spiny cactus-like center, presumably as a defense against herbivores that would harvest the seeds. The seeds are large and edible and a good source of protein and oil, and can be ground up to make flour. Surrounding the short main stem of the hermit bud are flexible stems that help support the large inflorescence. These flexible stems are highly evolved and have a strong growth response to gravity, called gravitropism, and to touch, called thigmotropism. As the bud enlarges and gets heavier the stems expand outward like giant legs to support the increasing weight. When an object or person stands close to a stem it will also grow towards the object and coil around it like a tendril. The Na’vi are careful to move quickly when harvesting seeds to avoid being caught in a web of stems. Taxonomy Cynaroidia discolor. Named for resemblance to artichoke thistle on earth (Cynara) and multicolored flowers. Same genus as thistle bud and lionberry. Botanical Description Large herb with gigantic blue-petaled flower cluster with spiny cactus-like center. Flexible viny stems at base of plant surround gigantic bud. Ecology Hermit bud is weedy on Pandora. Viny fast growing stems are natural defense mechanism as they grow quickly around anything that comes close.